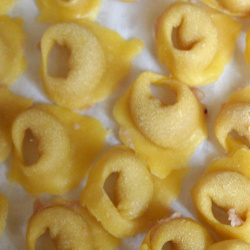 Fourteenth edition of the festival dedicated to "tortellino", the most famous meat-filled pasta of the Bolognese cuisine. For eleven days a great opportunity to taste typical "tortellini" in broth or with various seasoning, fresh pasta dishes and meat dishes. The event, hosted at the Calderara's sport center, includes also several sport matches and challenges. Lunch only on Sunday December 2, 8 and 9.